Through the support of British horseracing, via the HBLB, the AHT operates a dedicated surveillance system for EI with several hundred UK vet practices signed into the scheme and thereby eligible to receive free laboratory EI testing for cases that vets suspect might be EI. This is complemented by the RespCheck scheme, available for MSD clients, which covers laboratory testing fees for a range of respiratory pathogens including EI virus. To put this surveillance activity and the recent cases in context - the AHT were aware of only two confirmed incidents of EI in the UK during 2018. The first was in Scotland in February and involved horses recently imported from mainland Europe; it was caused by Florida clade 1 (FC1) H3N8 virus infection, the first time this had been seen in the UK since 2009. 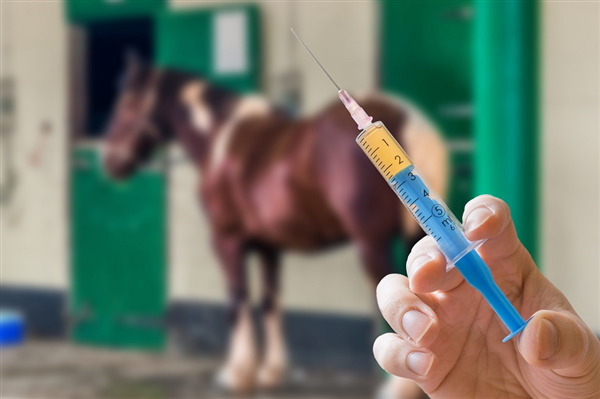 The second incident was in April in Oxfordshire, England and, although the sample from the horse was PCR positive, the AHT was unable to recover virus from the swab for typing so it is not known whether that was FC1 or FC2 H3N8 virus. Since the turn of the year the AHT have now had four incidents confirmed in separate counties (Cheshire, Essex, Derbyshire and Lincolnshire). Again, so far all have been in non-vaccinated animals and, where typing has been confirmed, all have involved FC1 H3N8 viruses (typing on the Lincolnshire isolate is awaited). In addition to the recent UK activity, which is not of itself spectacular with respect to numbers, the AHT is also seeing increased EI activity in neighbouring countries in northern Europe and these too are all, where typing has been conducted, involving FC1 viruses. A number of these cases have involved vaccinated horses. Here is a recent pdf summary of this situation kindly collated by Fleur Whitlock MRCVS.